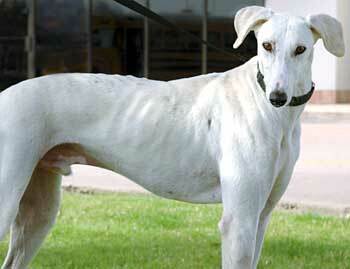 Graham is an approximately 1½-year-old handsome white male greyhound with a tiny bit of brindling along his spine. 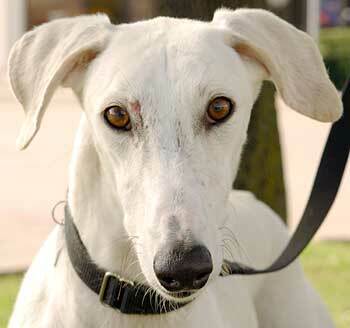 He has a very exotic look with those beautiful brown eyes, and a couple of scars that are healing. 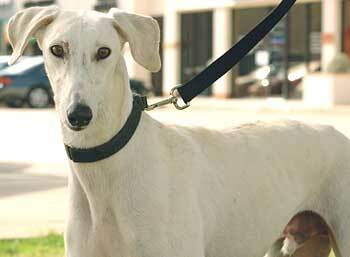 Graham was an owner release to the Ft. Worth Animal Control. He is a very sweet, quiet boy who sits quite often! It is not known at this time if Graham is small animal or cat tolerant.